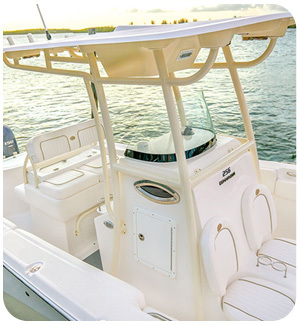 Taylor Made T-top boat covers are custom made. They don’t roll off of a generic assembly line. 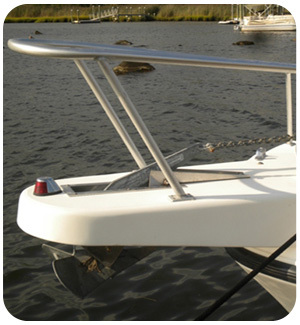 A custom T-Top boat cover protects your vessel better than a generic cover. Plain and simple. Sure, a generic cover purchased from an online or local retailer will save you a few dollars. That can be attractive. And, if you’re lucky, it might do the job for a few months. But, in a relatively short time, Mother Nature is going to get to that cover and, regrettably, to the boat itself. 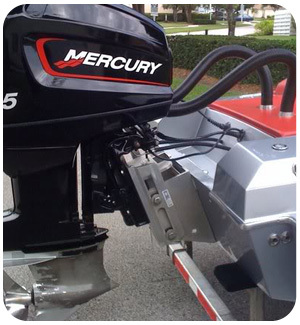 You take pride in your boat, and it cost you a good chunk of money. 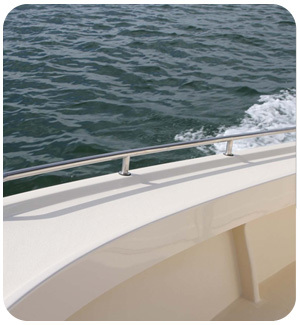 A durable, custom fit T-Top cover from Taylor Made is built to last and to fortify your boat against those harsh elements. 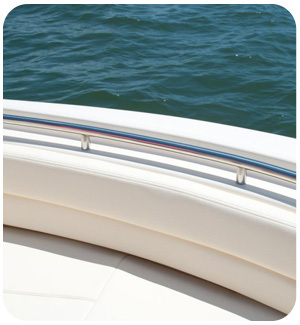 We hold our covers to a whole different standard than generic boat covers. 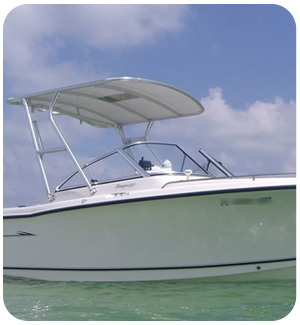 A Taylor Made custom T-Top boat cover is highly-engineered. 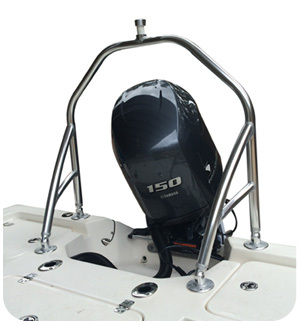 The way they attach underneath your T-Top helps the boat breath and vent, keeping mold and mildew out from underneath, unlike the majority of generic covers. The extra-sturdy webbing straps and adjustable clips allow for easy positioning and a secure fit. 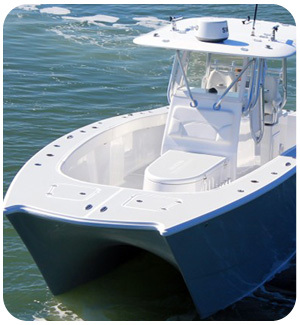 Furthermore, there can be some expensive equipment up there, from rod holders to GPS systems and more, our covers will not damage any of those valuable items. 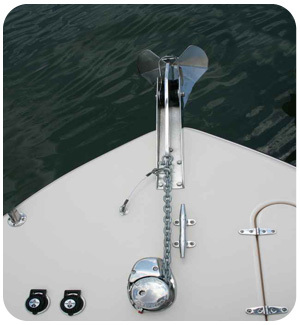 More importantly, our covers are specifically designed to fit your boat and only your boat. Different T-Top models have different frames. 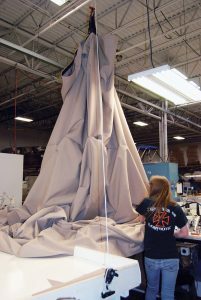 Our engineers constructed our covers to attach to your exact frame. 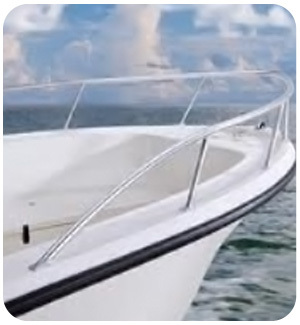 They made the cover with just enough fabric to keep water from pooling and cover the appropriate amount of your vessel’s hull at the same time. In other words, not too loose or not too tight. Generic T-Top covers are a roll of the dice. 95% of the time, they’re going to have too much fabric or not quite enough. 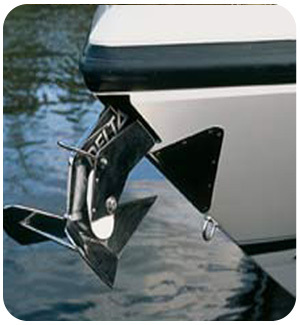 Whether you have bow rails or not, one engine or four, jack plates, power poles, and the list goes on. 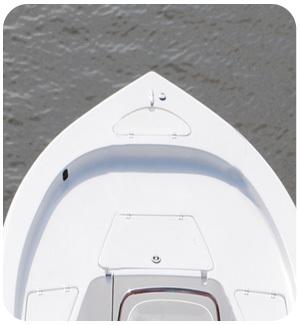 The point is, a custom fit T-Top cover from Taylor Made is made to fit your boat and only your boat. 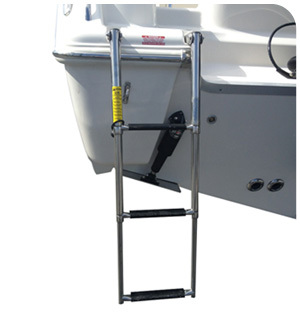 We offer a choice of three outstanding fabrics, port or starboard zippered openings for easy access, and accessories like tie-down straps and sandbag weights to better secure the cover to your boat. 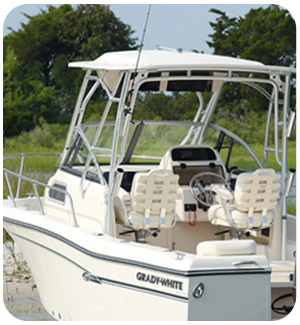 And the best part about our covers, you get a custom T-Top boat cover without the hassle, the cost, or the time it takes to deal with a custom canvas shop. 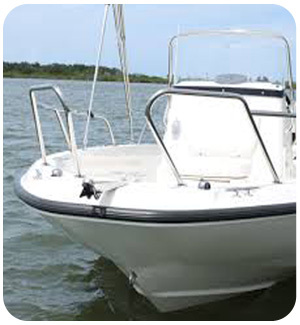 You don’t have to wait around while they come to measure your boat (or worse, you have to tow the vessel to them). You don’t have to wait for a quote and then get in line for them to actually make your cover. You can order your cover, right now, today. We will make it for you in 5-10 business days and ship it FREE via FedEx ground service.